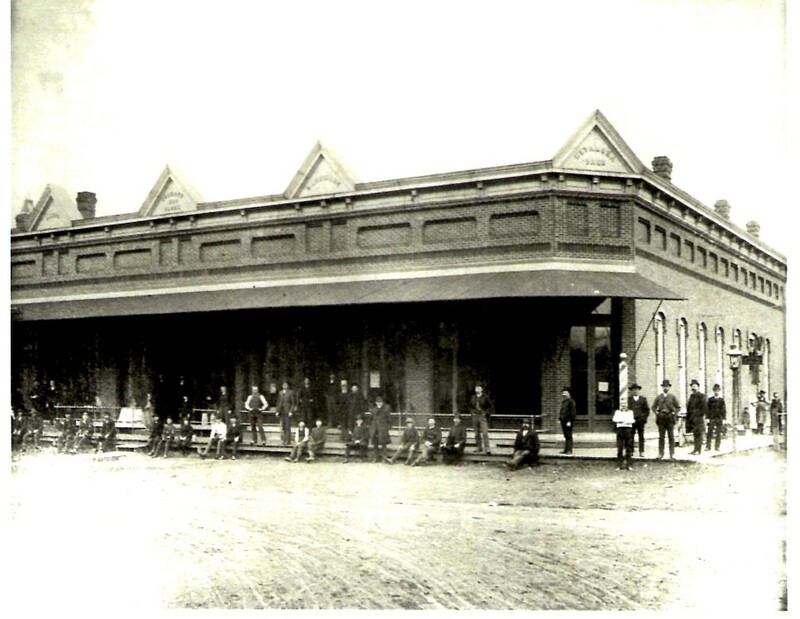 Pictured above is the old bank building (now the Post Office) at the intersection of Partridge and Davenport streets in Metamora, IL taken in the late 1800's or early 1900's. The number of people lining the streets might suggest a parade in progress. Signs at the top of the roofline read as follows from left to right: Drugs; Schertz 1887; Hardware; and Metamora Bank. The sign midway on the east wall reads A.R. Rich, Attorney at Law. The barber pole calls attention to the barber shop located in the basement of the bank building entered by the outside stairway. It appears to be all men and boys on the boardwalks. History and photo submitted by Bob Schertz.